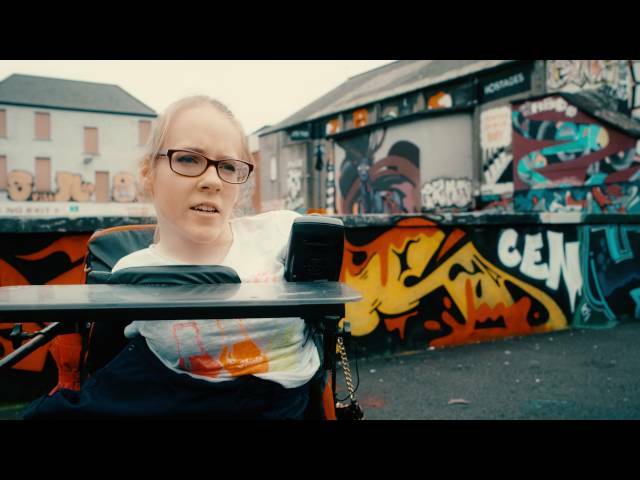 Campaigner Joanne O’Riordan, who’s addressed the United Nations in New York on disability rights, chats about why she’s excited to be a 2016 ambassador for Coca-Cola’s Thank You Fund. I’m delighted to be part of the Coca-Cola Thank You Fund as I think it's really important to support community initiatives. I’m always looking for local organisations to get involved with and I like to be pro-active in the community. The fact that Coca-Cola is taking the initiative to donate €130,000 into community-based organisations is pretty exciting and it encourages people to get up and get involved. I’m always interested in anything that gets you out there and meeting people. That's what I love doing – just meeting people, no matter who they are. I’ll be encouraging young people to get out there and be themselves. I want to encourage them to get involved in their communities and make new friends. As my mother always rants at me – there were no games consoles in her day! So any kind of initiatives that inspire young people to get out there and be more active and social are great. I think that's an important thing to encourage in Ireland these days. What are the most important issues facing young people in Ireland today? Young people today are open to society and more open to social media, so they take inspiration from many different things going on in the world. I think young people are trying to find their own identity, and their own lifestyle, and how they want to live, and just be themselves. And that’s hard for a lot of young people – they just want to grow up and be themselves without society and peer pressures and stuff like that. I think that's an important challenge to learn to be yourself and be who you are and be proud of it. I’d say to anyone ‘Give yourself a compliment, instead of noticing all the bad things going on’. It’s far better to change a negative attitude into a positive one. So, instead of saying 'I can't do that', say 'I can do that'. Instead of looking in the mirror and saying 'Oh, my nose is big or my forehead is high' just say 'Well, my eyes are really pretty' or 'I've really nice lips'. Just focus on the positive all the time and don't be putting yourself down – I think that's very important. I was always around positive young people – like my friends and my family, they are all positive and they are all very outgoing. I think it was important for me to get out there, instead of being the girl with no limbs. Thankfully now I get the opportunity to be who I am and be myself by doing these sorts of things, like being an ambassador for the Thank You Fund. Without my family and without my friends I definitely wouldn't be as positive and as confident as I am each and every day. I don't think there was any one standout individual moment. I suppose what changed me and made me who I am today was probably going over to the United Nations in New York and speaking to the UN on disability issues. That made me who I am and made me realise that this is a life I'd like to pursue – maybe media, journalism, maybe motivational speaking and stuff like that. These are the few moments that changed my life. But, when I was younger, just everyone treating me like everyone else in my home town – that was important. Meet the other Thank You Fund ambassadors Eoghan McDermott and Pete Snodden.